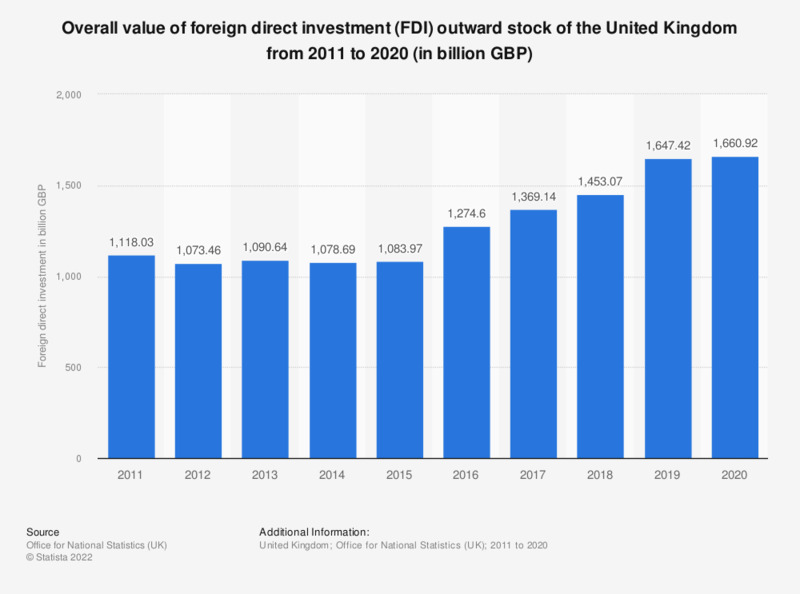 This statistic shows the United Kingdom (UK) global foreign direct investment (FDI) from 2004 to 2017. FDI peaked in 2017 at 1.3 trillion British pounds (GBP). The FDI position of the UK has remained above 1 trillion British pounds starting from 2010.